Following on from this years P.E.A Awards ceremony in which our founder won a top UK sustainability award and was crowned Pioneer of the Year 2016. 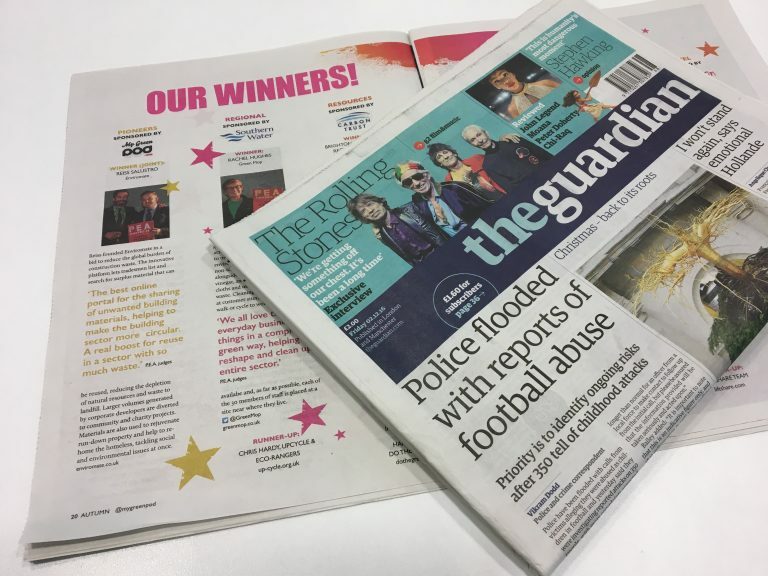 This week, a full length feature of the night and some of the incredible talent up and down the country also winning top awards, in this months My Green Pod magazine within The Guardian Newspaper. 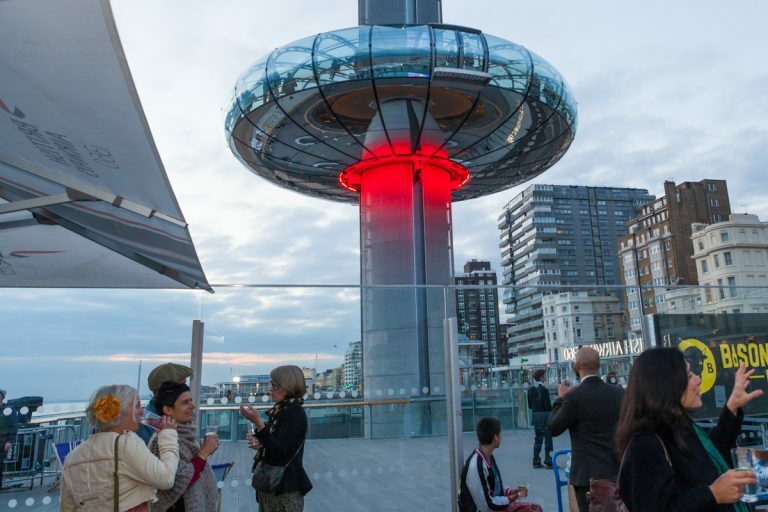 Risen from the ashes and the decay of the West Pier, the BAi360 on Brighton and Hove Seafront was the backdrop for new wave of environmental inspiration. Last night, inspiration of a different kind – powered by character, ingenuity, spirit and raw determination to do something better, make something better, to leave something better for our planet – happened. The 2016 P.E.A. Awards. Now in its sixth year, the P.E.A. (People. Environment. Achievement.) Awards is the UK’s leading sustainability awards, honouring the individuals and teams behind the products, services and businesses that are changing the face of our planet. Previous winners include Juliet Davenport OBE, Cat Fletcher, Polly Higgins and many other amazing ambassadors who are committed to revolutionising old models and systems. Across sectors ranging from finance and energy to music and art, the P.E.A. Awards identifies and celebrates the green heroes who are taking matters into their own hands and providing inspiring alternatives to business as usual. These sustainability pioneers are recognised and rewarded at our glamorous green carpet event.